It’s Valentine’s Day, so this weeks Top Ten Tuesday is going to be romantic: we decided to share our favorite OTPs with you. Enjoy! 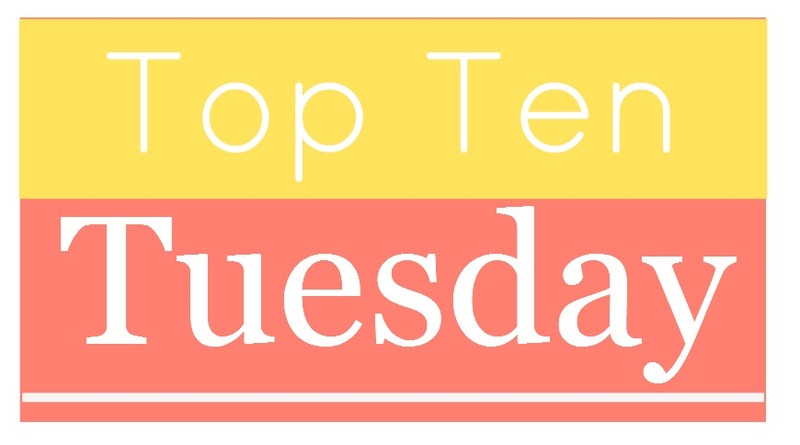 This weeks Top Ten Tuesday topic is actually Top Ten Graphic Novels/Comics – but here is the problem: we don’t read any comics or graphic novels. Normally the topic would be “Top Ten Underrated Books” but even after hours of thinking we didn’t come up with even 5 – so we decided to change the topic to Top Ten Contemporary Books. And since I know more about this genre than Sam, it’s mostly books that she hasn’t read. This week, let’s talk books we didn’t get around to reading last year but absolutely mean to read this year. We’re sorry about the lack of posts lately, but my Internet connection sucked and I was busy. Now I’m back, and a little less busy, so I’m excited to present to you: our Top Ten Movies We Are Excited For In 2017. So much excitement! Also, the following movies are in no particular order other than they came to my mind like this, and I wrote them down.